Tafnat 25mg Tablet is New Drug for Hepatitis B and HIV AIDS Infections. 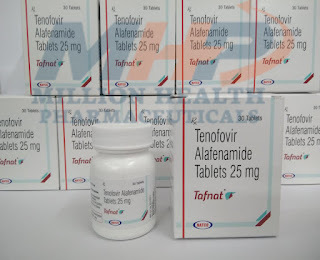 Tenofovir Alafenamide Fumarate from Natco. Natco has launched a Generic type of TAF 25mg used for the treatment of Hepatitis B.
Tafnat (Tenofovir alafenamide fumarate 25 mg ) Tablet is New HIV AIDS Drug. 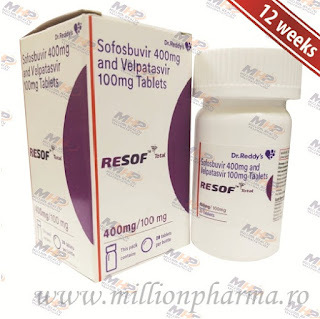 Tafnat (TAF) is a nucleotide reverse transcriptase inhibitor (NRTI) and a novel ester prodrug of the antiretroviral Tenofovir alafenamide fumarate. Labels: aids, antiretroviraldrug, hepatitis B, hiv, hiv infection, NRTI, TAF, tafnat, Tenofovir alafenamide fumarate.